THE HIGH COURT has ruled that two houses in Limerick City linked to murdered criminal Kieran Keane were acquired with the proceeds of crime. Keane was kidnapped and then murdered on January 29, 2003 by members of the Dundon-McCarthys, an opposing Limerick based crime gang. Keane was a leading member of the Keane organised crime gang and was involved in violent crime including the murder of rival criminals and the sale and supply of illegal drugs. Five men were subsequently convicted and jailed for Keane’s murder. 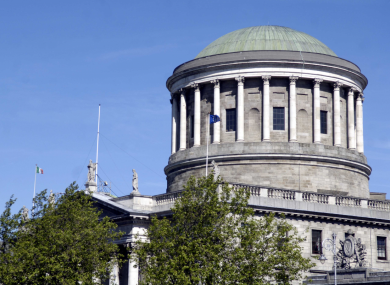 In High Court proceedings following an ongoing investigation, the Criminal Assets Bureau claimed that two houses located St Munchin Street, St Mary’s Park in Limerick were acquired by Keane, whose widow Sophie became the beneficial owner. In a claim against Sophie Keane, with an address at Garryowen in Co Limerick, CAB sought various orders under Section 3 of the 1996 Proceeds of Crime Act that the properties were acquired with the proceeds of crime. Neither the late Kieran Keane nor his wife had a legitimate source of income that could have generated the cash to purchase the properties, CAB claimed. The court heard that Ms Keane had voluntarily come to CAB and offered the properties up for seizure. CAB claimed that this came about due to it pursuing her in relation to debts owed to Revenue following the registration of judgements against her and her assets. The properties were acquired in 1996 and 2001 for approximately IR£51,000 in total, but were not registered in the Keanes’ names. The properties in question are three-bedroomed terraces houses, with one adjoining a small commercial premises, which formerly operated as a takeaway restaurant. Both have been vacant for some time. CAB claimed that Keane, using funds obtained through his criminal activities, paid for them in cash and left the properties in the name of the vendor or registered in the name of people who had no real interests in the properties. It also claimed that one of the methods used by the Keane criminal gang to launder the proceeds of their criminal activities was to purchase properties, which had been designated for regeneration, in parts of Limerick for cash. This was done in order to hide the true identity of their true ownership. In some cases owners were intimidated or forced out of their homes, CAB contended. In a statement to Gardai, Ms Keane confirmed that she did not know where her late husband would have found the money to purchase the properties. The orders, which were not contested, were made by Ms Justice Carmel Stewart, who said she was satisfied from the evidence before the court that the properties were acquired with the proceeds of crime. No other party made a claim in respect of the properties, she noted. Email “Murdered Limerick criminal acquired houses through proceeds of crime, court rules”. Feedback on “Murdered Limerick criminal acquired houses through proceeds of crime, court rules”.